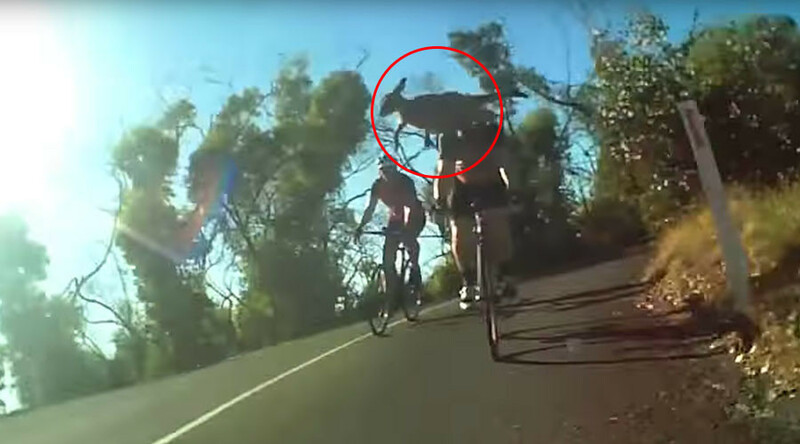 A cyclist narrowly avoided being knocked off his wheels when an impatient kangaroo bounced on top of him while crossing a road. The rider managed to keep his balance despite being kicked in the head by the roo. Luckily for us, a friend of Bland’s was on hand, equipped with a GoPro, to capture the moment on video. The cyclist managed to maintain his balance and cycled on as the kangaroo continued his journey unconcerned with any harm that may have been caused to Bland.